by Bill Roberts – There are two entirely different stories to be found on the aromatase inhibitor letrozole. In medical studies measuring blood estradiol and testosterone levels of hundreds of individuals, letrozole is a very consistent-performing drug with almost no unusual behavior. The only unusual behavior to be found in scientific literature is in a very early publication by the pharmaceutical manufacturer which made it appear unbelievably potent, but left out many details. All other studies have shown rather ordinary and consistent potency. My own findings over more than 10 years have matched up with these results. The other story will be that even trace doses of letrozole will “obliterate” estrogen and that it’s very tricky to use for this reason. Obviously, if that’s your personal experience using a given letrozole product, go by your experience. 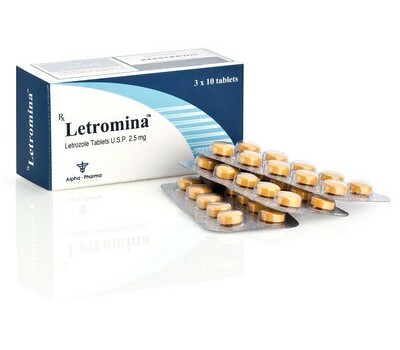 If however you are new to letrozole or have used it successfully before, then I recommend that you consider it no greater in dosing difficulty than any other aromatase inhibitor (AI), as this is my experience with very many individuals. How much letrozole to use? As with all AI’s, there’s significant personal variation, where a significant number of users need only about half as much as most, and a few need even less. In all cases, dosing must be individually judged based on observed side effects, and preferably based on blood testing as well. 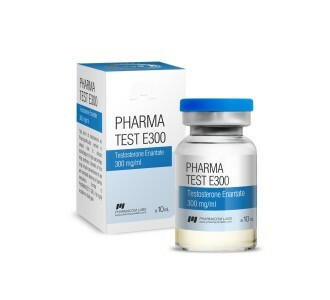 But as a general guideline, I recommend about 0.36 mg/day as a base amount for an anabolic steroid cycle with a modest amount of aromatizable steroids, such as 200-300 mg/week testosterone. At a higher dose such as 750 mg/week, this amount will usually be doubled. Generally no more than 1 mg/day should be taken unless blood testing shows abnormally high estradiol even at that level, but that’s rarely the case. Overdosing will result in low estradiol levels, which may result in adverse side effects of loss of libido, depression, joint pain, or flat-appearing musculature. If underdosed while using aromatizable steroids such as testosterone or Dianabol, abnormally high estradiol also can cause loss of libido or depression, can cause water retention, and can cause or aggravate gynecomastia. Where experiencing depression or loss of libido as the only observed side effects and unsure if the problem is from underdosing or overdosing, blood testing is the best way to resolve the question. Simply changing dose and observing the result can be another way. When wishing to reduce dosing of letrozole, it’s important to account for the drug’s two-day half life. Because of buildup in the body, if you simply reduce dose the result won’t be fully seen for more than a week! Yet you have a problem that should be corrected promptly. Instead, allow levels to drop during a short break. If for example you wish to cut dosing in half, take two days off entirely, and then begin your reduced dose. Or, if you wish to reduce dose by 25%, take one day off and then start the new dosing. When beginning letrozole use, its half life also should be accounted for. In general, when using letrozole on an ongoing basis, when taking a dose your body will have in it not only the dose you just took, but two days’ worth of doses built up in it as well. If on the first day of use you take only one dose, you won’t have as much in your system as you need. Instead, take 3 doses’ worth on the first day, and after that use your regular daily dosing. This will promptly get blood levels where they need to be. If you do not do this, then it will take about two weeks for blood levels to build up fully. Letrozole use during anabolic steroid cycles should generally be discontinued at the end of the last week of the cycle. However, if you know from experience that when off-cycle a given amount of letrozole optimizes your estradiol levels, then dosing may be changed to that amount rather than discontinued. As suggested above, in some instances an individual may have overly high estrogen while not using anabolic steroids. Letrozole can work extremely well to normalize estradiol in these instances. For most men, 20-29 pg/mL estradiol is the ideal range to aim for, though a few feel better in the 30’s. The amount of letrozole needed will depend on the amount of correction needed. Where estradiol is well above the target range, 0.36 mg/day is a good starting estimate. Where only modest reduction is needed, half that amount can be an appropriate starting point. While available as tablets, letrozole is now more commonly available in liquid form as a research chemical. Care must be taken in measurement of liquid amounts: additionally, as letrozole is usually provided as a suspension, products must be thoroughly shaken before dispensing. It may be that many of the reports of unpredictable results are due to inaccurate measurement by either the user or provider, or from clumping of product.